Will has been the chief audio engineer for National Media Services since 2003. He began his career in the mid 90's co-producing and engineering audio for radio broadcast. He has since broadened his experiences to include recording and mixing full score music productions, completing detailed audio restorations, executing audio and video reformatting, and performing world class mastering for commercial release albums. He has even designed and configured several facilities during his career including our very own Upper Room Studios. Will’s greatest attribute for this field is his own musicianship. He studied "Recording Systems Techniques" and received his Bachelor of Music (Music Education) from The Conservatory of Music at Shenandoah University where he improved his understanding and knowledge of music theory, composition, arrangement, music education and music production. While attending Shenandoah, Will tutored many instrumentalists, and assisted with local organized ensembles. He minored in piano. His major instrument is the trumpet. He studied both jazz and classical styles of performance. 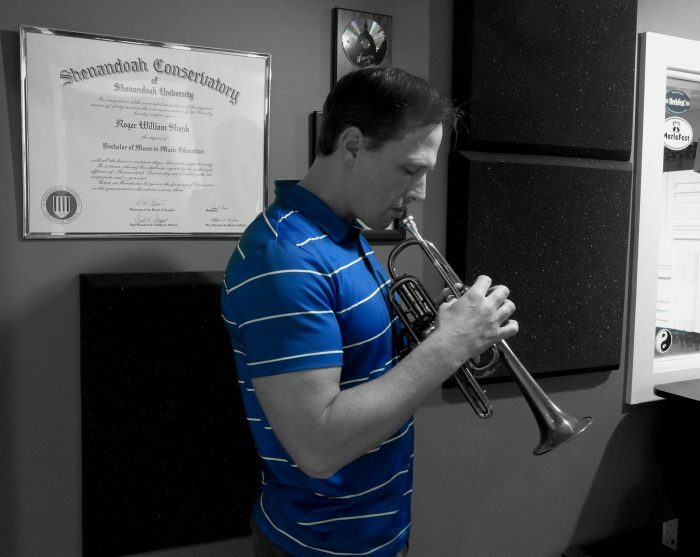 During his studies at Shenandoah he performed with guest artists and composers such as Randy Brecker, Allen Vizzutti, and Alan Baylock, and was honored to perform two master classes for trumpet master Mr. Eugene Blee. Will's knowledge and experience of recording and mastering is only exceeded by his love of the business. Will has contributed in the production of multiple award winning and nominated projects, as well as many chart topping hits. As of the publication of this bio, he has worked on 78 chart songs with 37 of them peaking in the top 10. He has worked on 26 award nominated songs or albums, including 10 winners. Some notable accolades include a 2010 Wammy (WAMA) for Best Bluegrass recording and three Spirit Awards. Will mastered Grammy nominated Bill Emerson’s Bill Emerson & Sweet Dixie, "The Touch of Time” which hit Roots Music Report’s Top 100 Bluegrass albums of 2012 at #5. In 2012 Will mastered Terry Brown’s “It’s a Cowboy Thang” which was nominated for Album of the Year with the Academy of Western Artists, as well as the Western Music Association. In 2013 he mastered Terry’s album “Party on the Prairie” which soared to the #1 best album on Roots Music Report’s True Country chart in November 2014. More recently Will recorded, mixed, mastered, and co-produced the hit album “Heartstrings” by Trinity River Band which debuted multiple singles on the Bluegrass Today charts, including “How Blue” which soared to #2 and remained in the top 5 for Five straight weeks. In 2013 Will recorded, mixed and mastered The Bitter Liberals’ album “13” which was nominated by the Washington Area Music Association (WAMA) for best Contemporary Folk album recording as well as best debut album recording. In 2014, Will recorded, mixed and mastered’ The Bitter Liberals’ album “Again” which was, again, nominated by WAMA for best Contemporary Folk album. In 2016, Bud’s Collective’s self-titled album, recorded, mixed and mastered by Will, was nominated for two Wammies, including best recorded Bluegrass album of the year. As of the publication of this bio, he fully produced 3 of the 5 albums on the final WAMA nomination ballot for best recordings of 2017. Will is quickly gaining the reputation as a superb mastering and recording engineer and has clients requesting his services from all over North America.